The mission of the Giannino Bassetti Foundation is to promote responsible innovation. 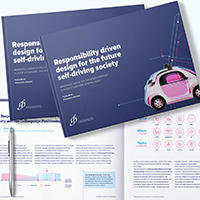 Read also: Responsibility driven design for the future self-driving society - i video. You are on the Home Page, the nerve center. The map shows you the content available on the site, and is on every page.